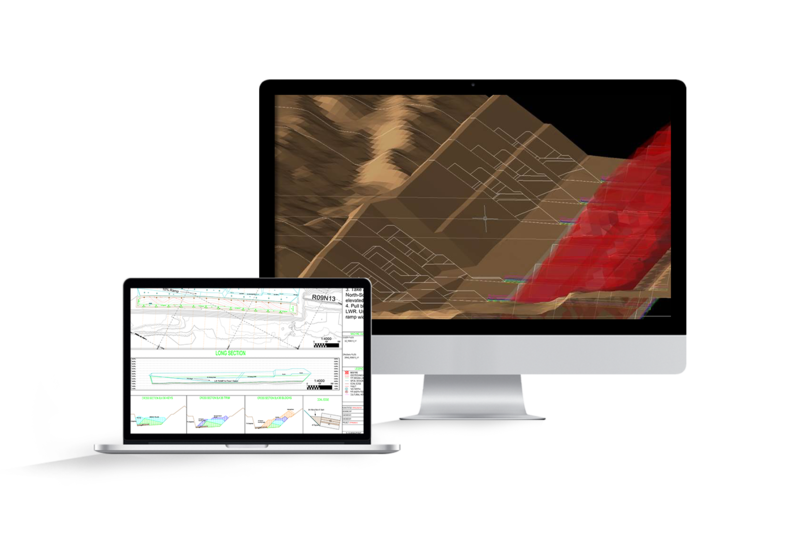 Deswik announces the launch of Deswik.DD, a sectional design and analysis tool for design, optimisation and communication for dragline or dozer push operations. Engineers using Deswik.DD are able to analyse and refine dragline and dozer push designs, in turn reducing operating costs and maximising value. Time savings of up to 80% in overall planning time can then be reinvested in scenario analysis to find the most efficient operating plan. As well as automating repetitive section operations, time savings are realised through integration with upstream design and reserving tools, downstream scheduling tools, and 3d-DigPlus, the leading material movement simulation package from Earth Technology. Integrating with production scheduling so the impacts of design updates are understood immediately. Deswik.DD is a welcome addition to Deswik’s suite of integrated software tools for mining engineering, operations planning and mining data management. Future releases are focusing on deeper functional integration and improving all of the frustrating and unproductive steps in best practice design and analysis of dragline and dozer push operations. For more information on the newly released Deswik.DD, download the product brochure or go to www.deswik.com/deswikdd.